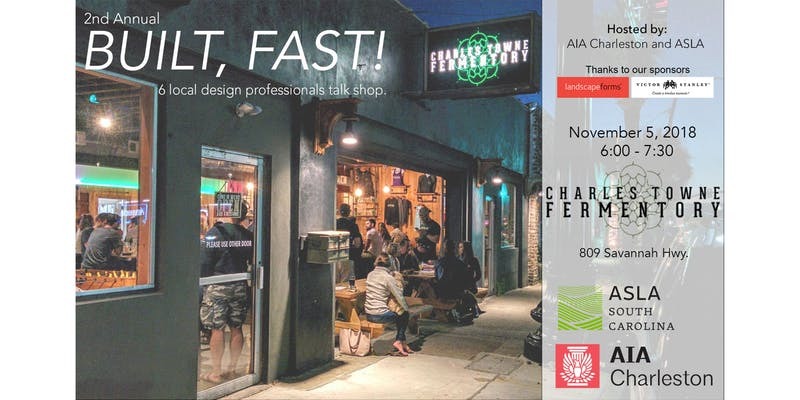 Come join us for an evening at Charles Towne Fermentory where local design professionals will be sharing a mixture of architecture and landscape architecture projects! The presentations will be pecha kucha style (20 slides / 20 seconds per slide). Thanks to our sponsors Landscape Forms and Victor Stanley, Inc!